I must say that I’ve been something of a distant admirer of Secret Cinema for some time. 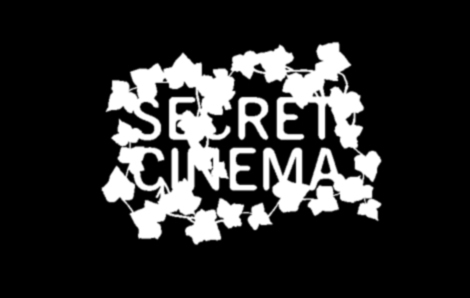 It sounds like such a fascinating idea, a bi-monthly showing of a secret film, shown in a site-specific location, supported by lashings of theatre. Dress codes and clues handed out to potential punters, suggesting possible hints as to the theme of the evening. In an age when DVD’s rule the roost, it is exceptionally exciting to see a group trying to redefine the process of watching a film, in a communal way. And in a communal way which does not involve a trip to some God-awful multiplex and the usual sterile atmosphere of a film theatre. So it is a thrill to have been invited to attend an upcoming showing. Now I am usually the first person to run a mile when I get an invitation to anything which even slightly pertains to “fancy dress”. My traditional “fancy dress” guise by the way for parties I’m press-ganged into is usually that of a doctor, for some odd reason. All you need is a stethoscope, a white coat and a few borrowed lines from Doctor in the House and you’re away. “What’s the bleeding time?” “Ten past ten sir!” God, I love that film. Anyway, I digress. So my manic aversion to fancy dress may well have put me off turning up at Ali Pali dressed as a Bedouin, for last year’s Secret Cinema screening of Laurence of Arabia, but since this month’s dress code is late 1950’s/early 1960’s, European cool, my mind is at ease. As you probably guessed from my Doctor in the House reference, I love anything retro, especially when it involves dressing up like Marcello Mastroianni in La Dolce Vita and breaking out the Wayfarers. Maybe the mystery film is La Dolce Vita? I doubt it. There seems to be a distinctly political edge to the clues handed out so far via Facebook and Twitter, with many references to burgeoning revolutions and a battle between state and city. In all honesty the film could be anything. There is often nothing pretentious about the choice of movie, in fact, past showings have included titles as giddily disparate as The Red Shoes, Bugsy Malone and Blade Runner. It will certainly be interesting to see the reaction of the crowd when the film is finally revealed. In a year of revolutions across the globe, there is apparently a very small one going on every night somewhere in the vicinity, or deep within the underbelly of Waterloo Station. I want to be in on the secret. I always do. More info and tickets can be found here http://www.secretcinema.org/ The current run of showings is due to continue through to the 9th of May. Look out for my review in a few days time.